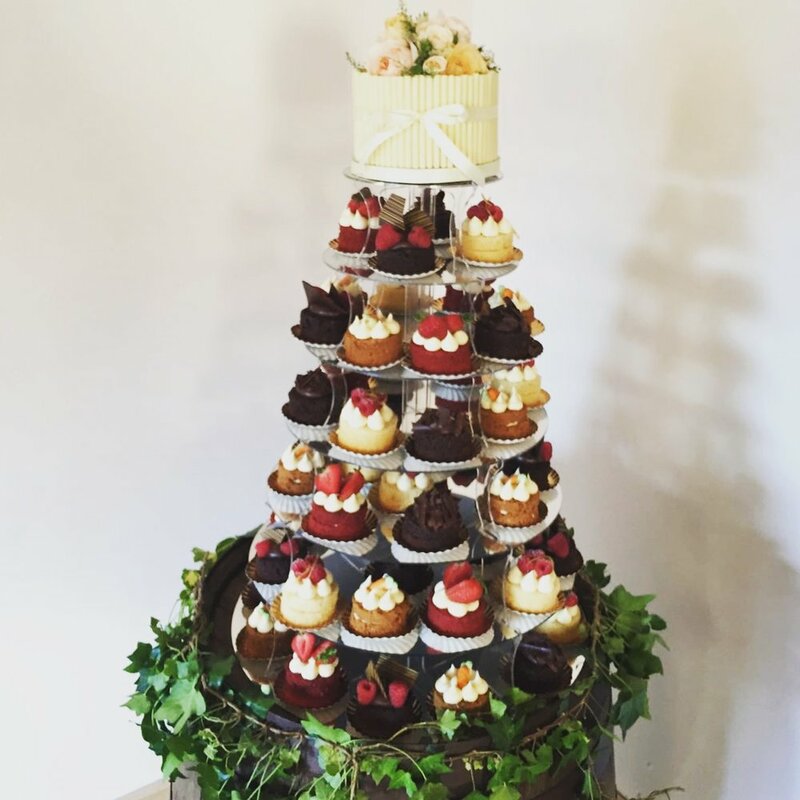 A Tea Party Tower is a delightful alternative to the traditional tiered wedding cake. Individual miniature filled and decorated cakes are hand finished with fresh berries and assorted patisserie style toppings for a fresh and colourful spectacle of cakes. Great for an afternoon tea reception or eaten after the meal, this is an impressive showstopper which will bring the wow factor! The flavours for the Tea Party Tower match those of the Buttercream Cakes Collection, and can be found here. A single tier cake can also be added for cutting on the day.